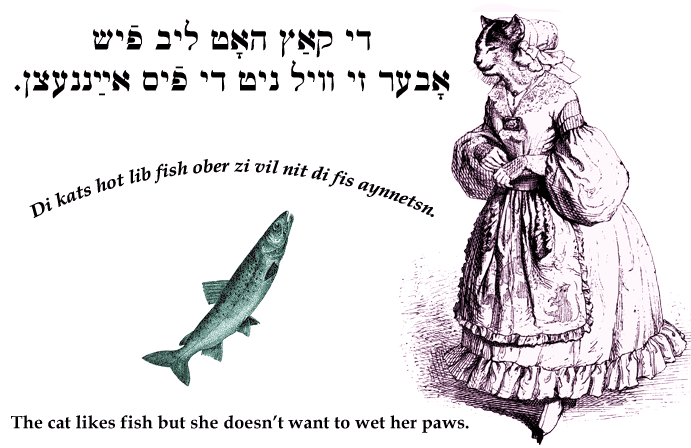 Yiddish Wit: The cat likes fish but she doesn't want to wet her paws. די קאַץ האָט ליב פֿיש אָבער זי װיל ניט די פֿיס אײַננעצן. Di kats hot lib fish ober zi vil nit di fis aynnetsn. The cat likes fish but she doesn't want to wet her paws.